Equipped with the Jaeger-LeCoultre manually-wound Calibre 179, entirely developed and produced in the Manufacture, this creation reveals an all-new Gyrotourbillon®. Now performing its rotation by means of an external driving mechanism, it appears to be floating in mid-air. This enables a spectacular plunging view of the light, airy architecture. 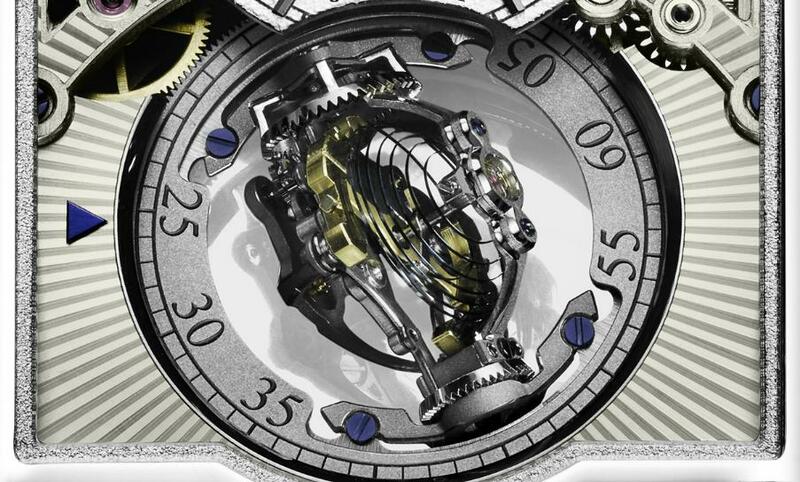 Pared down to their slimmest possible form, the two carriages of this bi-axial flying tourbillon perform an external rotation in one minute and an internal rotation in 12.6 seconds. The gaze can thus linger on the balance-spring hand-crafted in the workshops of the Manufacture. Its hemispherical shape is bound to catch the attention of those who will recognise the additional difficulty and precision involved in such a design. This delicate and exclusive balance-spring is a token of expert technical mastery that is also exercised on the Gyrolab balance-wheel, distinguished by a non-circular configuration that considerably reduces air friction. Shaped like the Jaeger-LeCoultre anchor symbol, this component represents a decisive breakthrough in terms of the watch's precision. 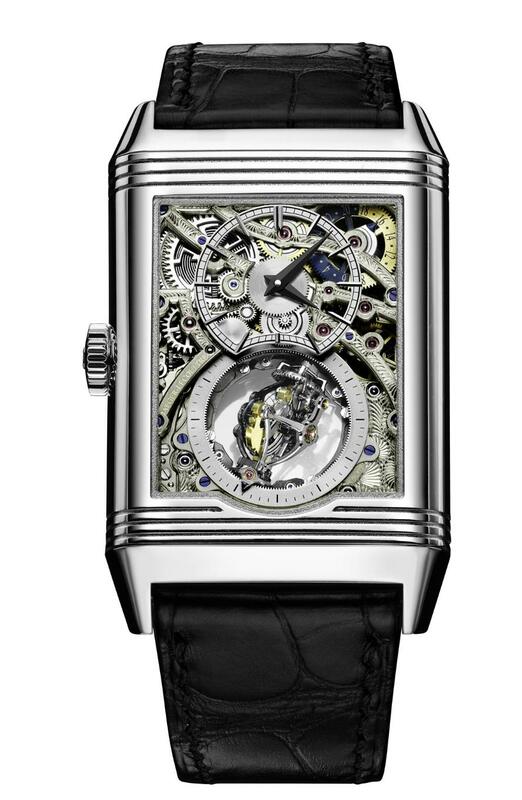 The front of the Reverso Tribute Gyrotourbillon features a finely grained white round dial swept over by blued steel Dauphine-type hands and evoking the noblest traditions of horological sophistication. An elegant day/night indicator appears at 11 o'clock, while the seconds are displayed in an unusual manner by means of a graduated disc rotating at the cadence of the Gyrotourbillon®, with a small blue arrow placed on its left serving to read off this indication. A hand-crafted sunburst guilloché pattern accentuates the refinement of this side and echoes the finishing on the watch cradle. There is something uniquely exciting about swivelling the case to savour a second face that both stimulates curiosity and heightens desire. 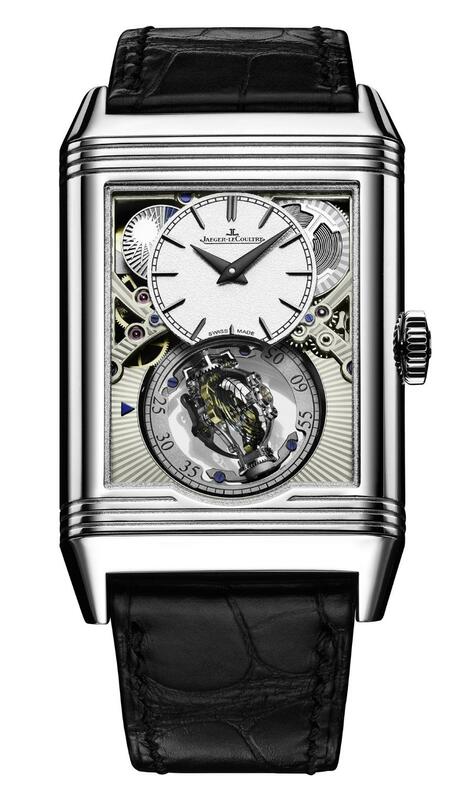 The surprising back of the Reverso Tribute Gyrotourbillon majestically demonstrates the art of the Manufacture's engravers. 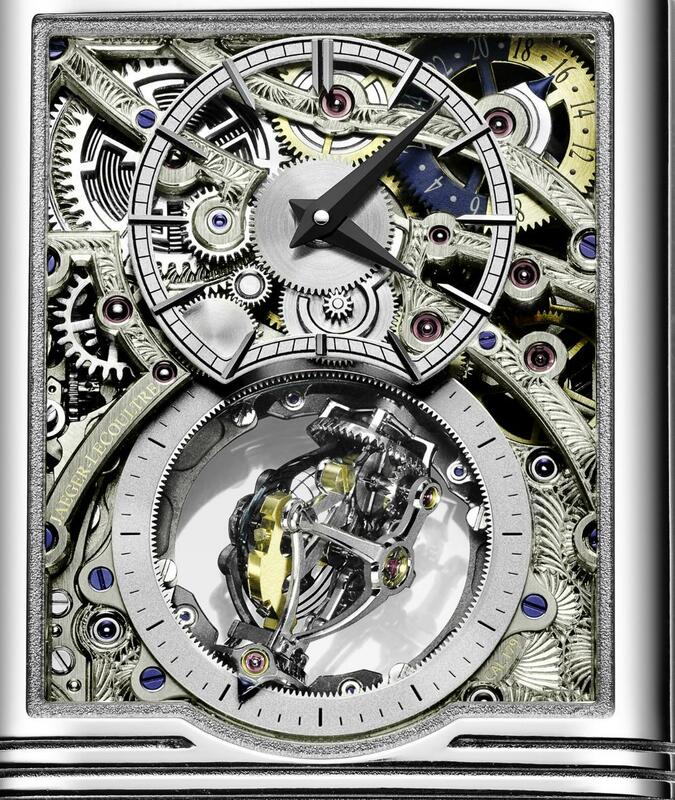 The entirely openworked movement with its bridges hand-decorated by these skilled artisans creates a remarkable effect on this back dial. 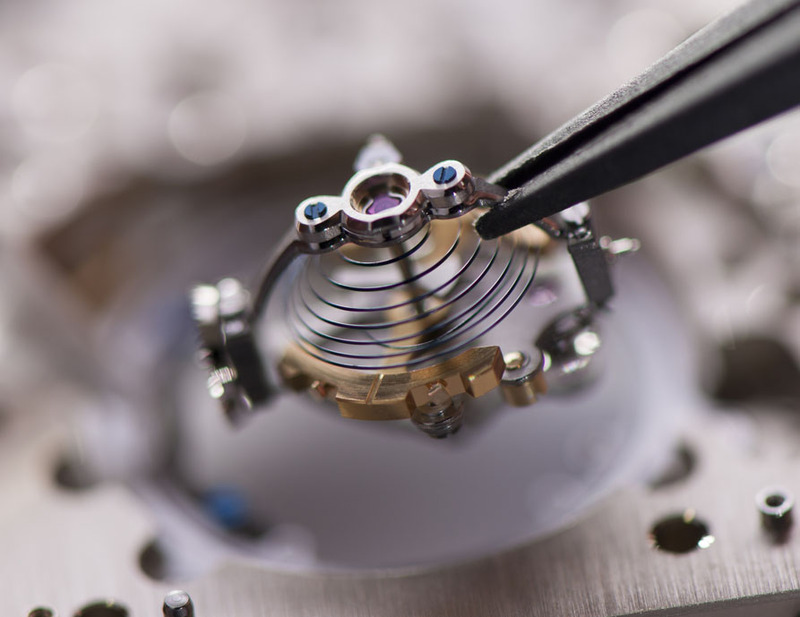 The inherent difficulty of this remarkably delicate workmanship is compounded by a sizeable watchmaking challenge, since the sheer slenderness of the movement makes it a particularly risky exercise. The dual-time display and the Gyrotourbillon® stand out against the intricate downstrokes and upstrokes of the openworked movement. This side also carries a day/night indicator in 24-hour mode at 2 o'clock as well as a small seconds hand driven by the tourbillon. 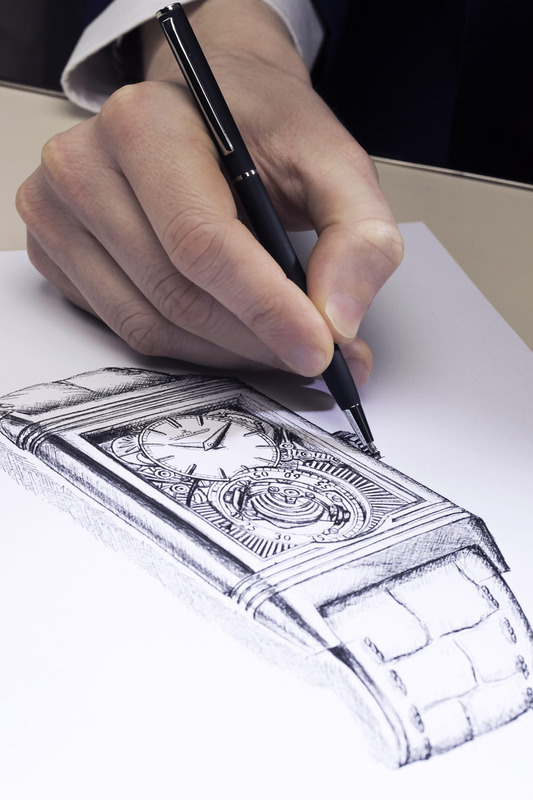 What finer invention could one imagine to celebrate the birthday of the iconic Reverso than this exceptional creation a limited edition that is heralding a new chapter in the history of this model so deeply cherished by devotees of beautiful watches since 1931.